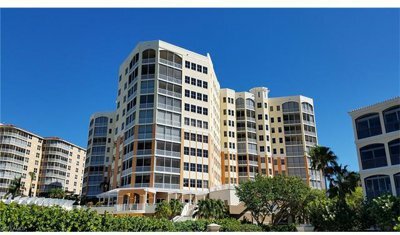 Florida International real estate sales rise 21% of total dollar volume and 15% of total sales in 2017. Both numbers were up versus 2016 numbers. 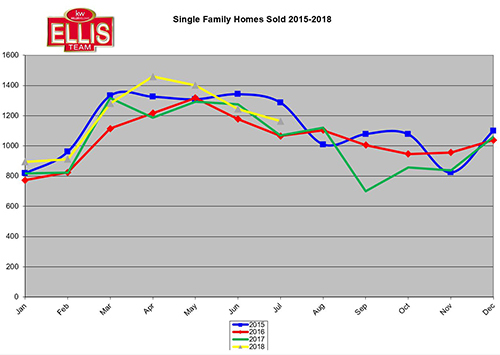 This tells us that foreign buyers are here purchasing, and because the total volume is higher, they are purchasing higher than average priced homes. So where are these Lee County foreign buyers coming from? According to the Florida Realtors profile of international real estate activity, Lee County saw the largest amount coming from Canada, followed by Germany and United Kingdom. Just this past week the Ellis Team placed a property under contract with a Canadian buyer, and we just completed a transaction with a German owner. Over the course of time, these countries fairly well describe who buys in Lee County from overseas, but there are fluctuations. Two factors that influence foreign buyers are the changes in currency valuations, and the home price growth from the foreign country. The Canadian dollar hasn’t moved much against the US dollar, so you might wonder why the increased interest. Canadian home prices have been sky-high. They have equity. Some say they’ve risen so high the bubble might burst as there is no rational basis for why their prices have grown so high. But then again, there never is in Canada. They have their own economic forces. It’s like gravity is different up there. Canada was number 4 in the world for real price growth behind the Philippines, Hong Kong, and New Zealand. This confidence and equity has spurred opportunities for Florida as Canadians love visiting our sunshine and beaches. 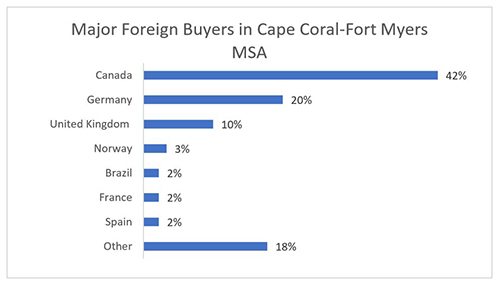 72% of foreign buyers pay cash. But Canadians only finance 14% of the time. United Kingdom buyers finance 23% of the time. 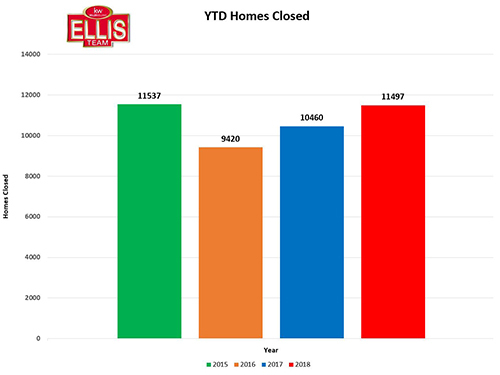 The Ellis Team markets to foreign buyers as well as US buyers. In a market like Florida you have to market to reach the entire universe of buyers. Especially given the fact that 21% of Florida’s sales volume comes from foreign buyers. While this report covers all of 2017, there can be shifts. We study our website traffic over the last year and compare to the last month and week. We see some recent changes. 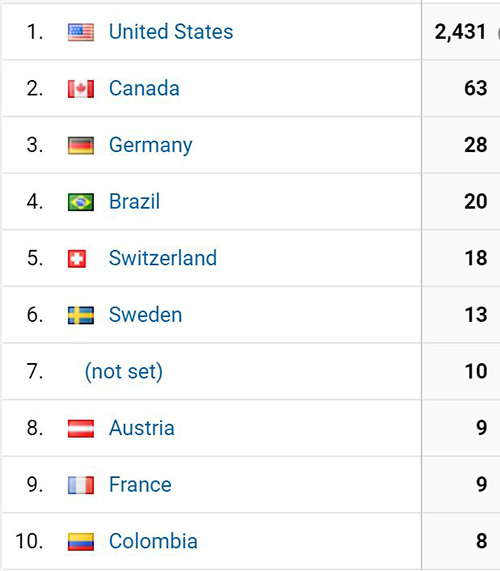 This past week Canada still led the way, followed by Germany and Sweden. United Kingdom is at #9 for the year and not even in our top 10 for the last week. Brazil slipped to #9 in the past week. They’ve been in the #6 spot for the past year. Changes in currency, political environments, and home prices abroad can affect our market here quickly. We can monitor on a week to week or even day to day basis. The bottom line is, if you’re only marketing to local buyers you’re missing out on a large portion of the market. In addition to 21% of the volume from international buyers we sell many homes to US citizens from other states. Over the past year Illinois lead the way in property searches on LeeCountyOnline.com followed by New York and Michigan. It’s no wonder we’re working with so many buyers from IL right now. 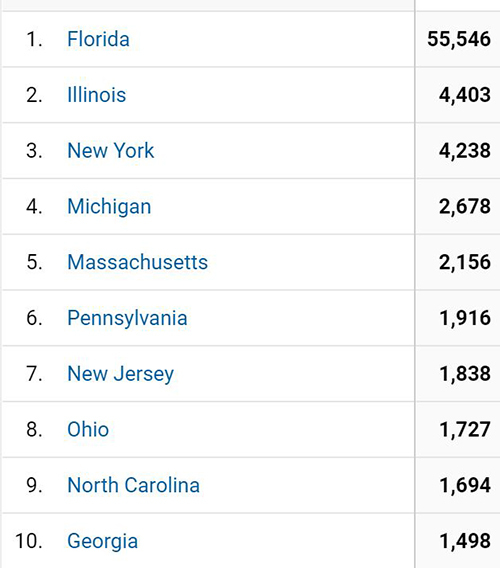 The Ellis team is working with buyers from all 10 of these states. They are searching for property in Southwest Florida and we are helping them purchase it. If you’re thinking about selling your SW Florida property, it pays to work with a Realtor that markets across the US and internationally. Have them show you how many buyers they’re generating and from where. If they can’t show you, they either aren’t marketing there or don’t focus on it. 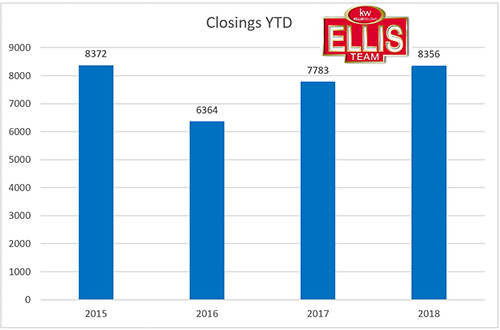 The Ellis Team will be glad to sit down with you and see how we can help you get top dollar for your home. Call 239-489-4042 and ask for Sande or Brett. Or feel free to search our SW Florida MLS Search Site The rest of the world does. You might as well too.